"What do you see? I see RED"
RED is the play about the American expressionist Mark Rothko, that had his premiere in 2009 and then was transferred to Broadway, where it won 6 Tony Awards. Rothko was commissioned to paint a series of murals for the prestigious Four Seasons restaurant in new York for several thousand of dollars. 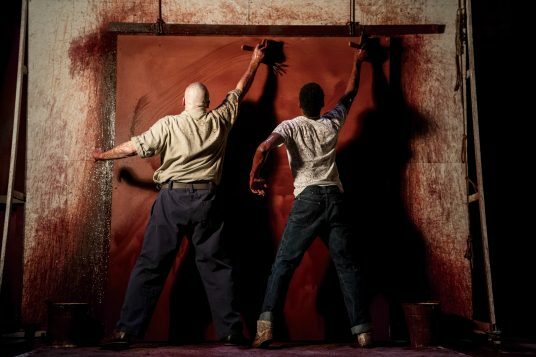 Alfred Molina and Alfred Enoch give a world class mesmerizing performance in their roles as Mark Rothko and his assistant, Ken. It is an intense 90 minutes, two men show about a complicate and conflicting relationship, but most of all about art, and about life. Molina as Rothko is difficult, aggressive, egocentric, passionate and mean. Rothko was not a lover of small chats, so the play is quite intellectual and the dialogues are fast and laboured; be prepared! 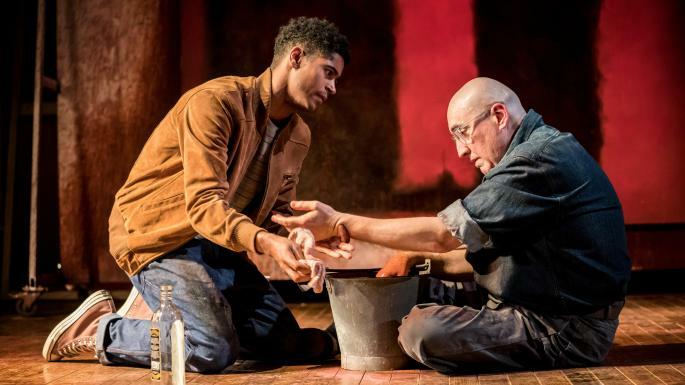 The character of Ken, played by Enoch, becomes more dominant in the second half of the play, and Alfred is simply outstanding – with a very intense moment when he reveals to Rothko about the murder of his parents. It is incredible how a play, written 10 years ago, about a painter who died almost 50 years ago, can be so alive. When I talked with Michael Grandage, who directed the play in 2009 and directs this revival too, I could feel all the passion and dedication that have driven him to put on a stage this story. Theatre is art, and when is made with such devotion and intensity it becomes something that elevates the human spirit to another level. And that's what RED is and does.